As a Council salami sliced its meals on wheels service, the news focus was once more on malnutrition in later life. Doug Anthoney responds. This week we responded to Angus Council’s move to halve the number of hot meals it delivers through its meals-on-wheels service. The Council currently delivers about 3,500 hot meals each week, with recipients given the choice of a hot meal delivered to their home at lunchtime, in the evening, or both. In a move that is expected to save £400,000 a year it plans to cut the service to delivery of one meal during the day, which will come with a sandwich for the resident to have for dinner. We expressed our fear that service cuts such as this increase the likelihood of malnutrition among vulnerable older people, which in turn is associated with increased likelihood of illness and longer recovery times. This is not only a problem for individuals but also health and social care services; research by the Patients Association in 2011 suggested that the cost of malnutrition in Scotland could be as much as £1 billion. With health and social care service integration in the pipeline, ‘cost shunting’ of this kind – where savings in social care resurface later as larger costs to health budgets – surely can’t continue unchallenged. Looking at meals services for older people generally in Scotland, we know there’s a lot of variation in the quality. 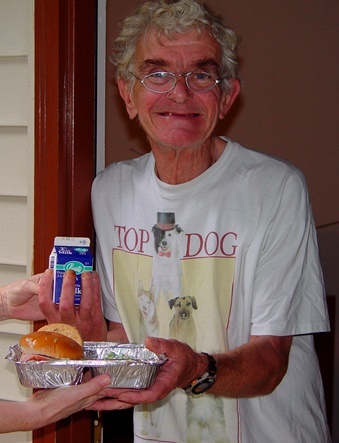 In some areas meals on wheels are provided using the same menus that are used for school meals, which fails to consider how nutritional needs differ across generations – so older people may not be able to eat the food provided, or fully benefit from its nutritional value. We would like to see all Local Authorities and NHS Health Boards working together to ensure appropriate food is provided for older people in their homes where it’s needed, taking into account their views and preferences such as vegetarianism. This entry was posted in Around Scotland, Health, Policy and tagged Angus, health, malnutrition, meals on wheels by Age Scotland. Bookmark the permalink.